Can Split System AC Serve a Larger Room? When they choose Toshiba air conditioning, Perth residents can opt for a split system to heat and cool their homes. One concern many new AC system owners worry about is how effective a system will be when serving a larger room or open plan space. If the system is not correctly sized, the performance will suffer, and your investment will be wasted. Expert advice should be sought prior to making a purchase to ensure that the system isn’t too large or too small. Let’s take a closer look at this process to better understand how it works. The size of your split system AC system is loosely based upon the square meterage of the space where it will be used. We say loosely because this can only be seen as a very rough guide. More work is required to determine the size of the AC system required than most people would imagine. This is a brief size guide for a split AC system. When you work with a professional AC installer, you will be exploring four other factors that will determine the final size of the system. Ceiling Height: The unit needs to heat and cool all the air in the entire space up to the height of the ceilings. If you have especially high or low ceilings, this needs to be factored into the calculations. This will ensure that you will get the best performance out of your system. Insulation Levels: A well insulated property will ensure that your levels of heating and cooling will be retained easily. Any split system air conditioning unit will work very effectively with more insulation in the walls and ceiling spaces. The decision between choosing a larger or smaller size of AC system for your space may well come down to how well insulated the room is. Windows: The number and size of the windows in a room can also be a major factor in your choice. A room with large windows that gets sunshine most of the day will have a major effect on how the room is cooled in summer or heated in winter. Local Climate: The local climate where your home is located may make heating or cooling more difficult. If you’re in any doubt ask advice from a local professional AC installer and they will understand your local conditions. This will ensure that you get sufficient kW of output for heating and cooling power that is even and consistent. If you’re looking for a Toshiba air conditioning system contact us here at Gas&Air. 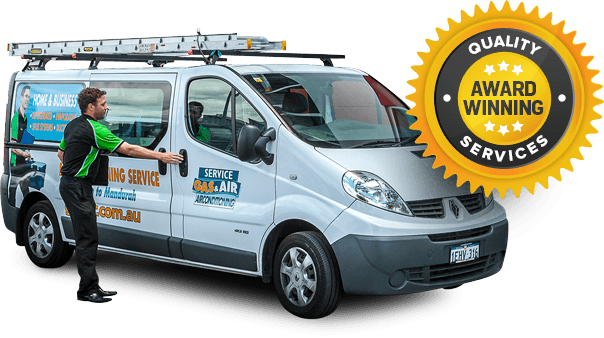 We supply, install, service and repair a wide selection of heating and cooling equipment, including split system AC systems. We take pride in the quality of our work and offer interest free financing options for qualifying customers. Our team is standing by to discuss your needs in greater detail and to answer any other questions that you may have.